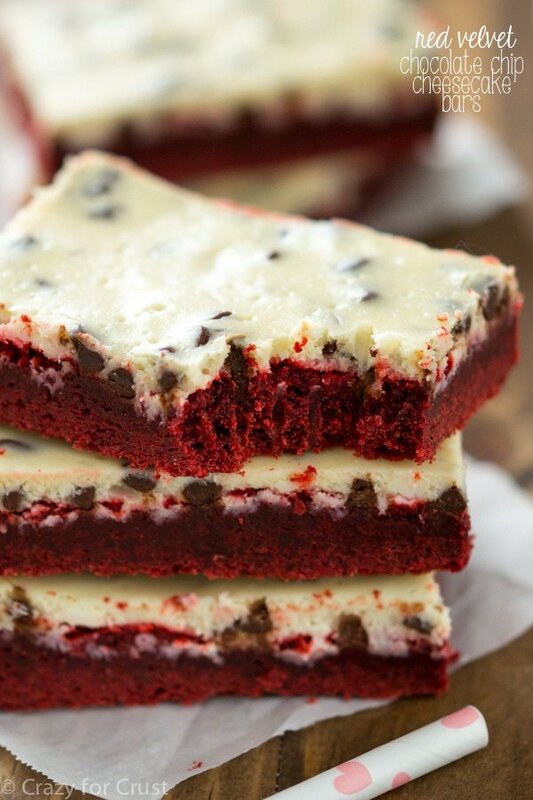 The best of both worlds: cookies and cheesecake all in one!! 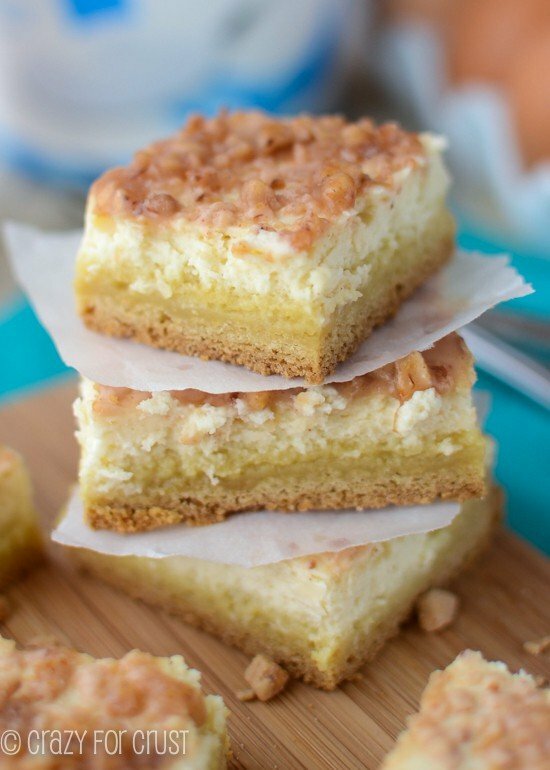 These Oatmeal Scotchie Cheesecake Bars are one of my favorite all time recipes! 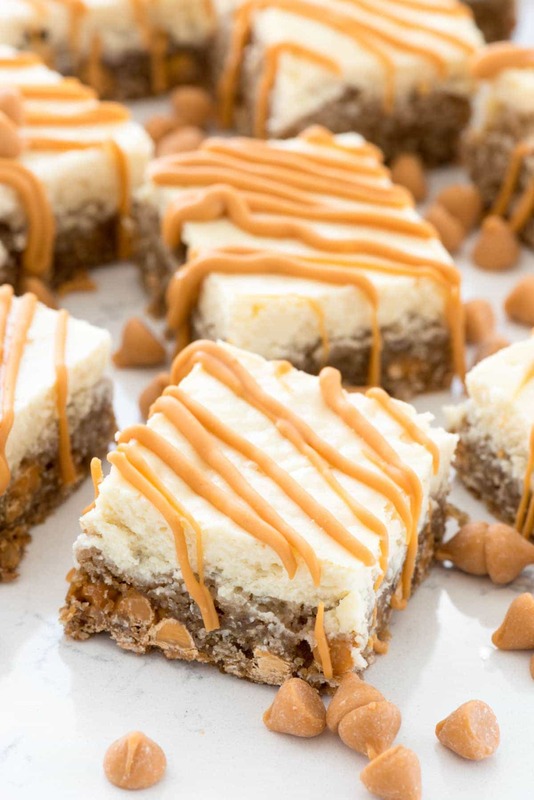 Oatmeal Scotchies (oatmeal cookies with butterscotch chips) are topped with a creamy cheesecake. These are always a hit! This post originally aired in 2012. Photos updated 2017. Have you ever made something so incredibly good that you wanted to shout it from the rooftops? Yeah? Me too. Have you ever then downloaded the photos, got all prepared to post it…and then got sidetracked by the shiny new other thing you made the next day that you justhadtopostrighthatminute? And then that shiny new thing became seven shiny new things became 5 MONTHS worth of shiny new things? And you hadn’t posted that so incredibly good recipe you made all that time ago? In my defense of not posting these bars last MAY when I made them, I got a new computer in July. I know, I know. Two whole months later. But all my old photos are on an external drive I only use for, well, external stuff now. So I decided to go back and look and see what I missed. And then lighting struck me down and the recipe Gods shamed me because I had not shared these with you yet. 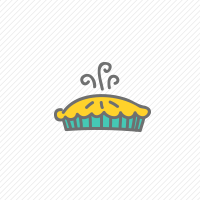 It’s an Oatmeal Scotchie Cookie base. The same cookie dough, but pressed into a pan. Then it’s topped with cheesecake. Like I said. AMAZINGNESS to the nth degree. Something I should be shamed and punished for not sharing sooner. I’ll try harder in the future. Really I will. Right after I clean off that drive. Pinky swear. 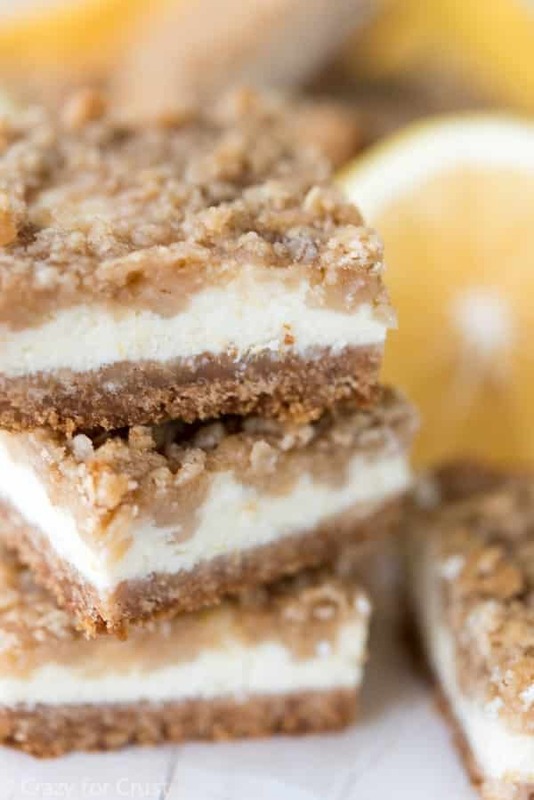 Oatmeal Scotchie Cheesecake Bars are cheesecake bars with an oatmeal cookie crust! They’re the best things ever: an oatmeal cookie with butterscotch. Butterscotch is such an underused ingredient and pairs SO well with oatmeal cookies. A cheesecake with a cookie crust! I promise this recipe is super easy. Rich butterscotch filled oatmeal cookie bars (no scooping cookies!) topped with creamy cheesecake. TO DIE FOR. Don’t like butterscotch? We can’t be friends. (KIDDING!) Use what you like: chocolate chips, cinnamon chips, nothing. Tip: don’t have sour cream? No problem – use nonfat plain greek yogurt instead! Make sure ALL ingredients for the cheesecake mixture are room temperature and then beat the heck out of it to get rid of the lumps. Beating your cream cheese for a minute or so first to cream it up will help too. 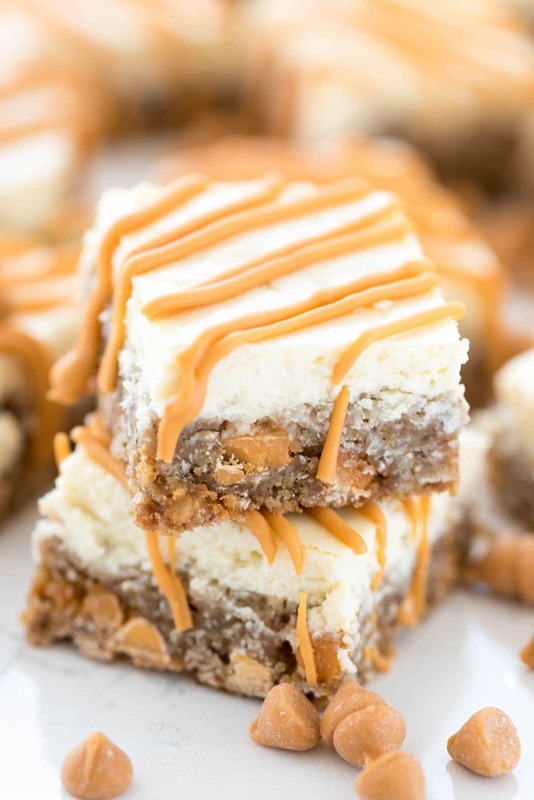 Oatmeal Scotchie Cheesecake Bars have an oatmeal cookie base filled with butterscotch chips and topped with an easy creamy cheesecake. Preheat oven to 350°. Line an 9x9” pan with foil and spray with cooking spray. Set aside. Make the cookie layer: mix flour, baking soda, cinnamon, and salt in a medium bowl. Set aside. In the bowl of an electric mixer fitted with the paddle attachment, beat the butter, brown sugar, and ¼ cup granulated sugar until creamy. Add one egg and 1 teaspoon vanilla and beat well. Add the dry ingredients and mix until combined. Stir in the oats and butterscotch chips. Press into the bottom of the prepared pan. Make the cheesecake layer: Beat the cream cheese with a hand mixer for 1 minute, or until smooth. Add sour cream, remaining 1 egg, remaining ¼ cup sugar, and remaining 1 teaspoon of vanilla and beat until smooth. It's important to start with room temperature ingredients so there will be no lumps. Pour over cookie layer. Bake for about 35-45 minutes until top of cheesecake looks solid and starts to crack around the edges (mine took about 40 minutes). Cool for an hour and then refrigerate for at least three hours or overnight before cutting into bars. Optional topping: melt 1/2 cup butterscotch chips with 1 teaspoon vegetable oil on high power in 30 second increments, stirring between each, until melted and smooth. Place melted candy in a sandwich bag and cut off one tip; drizzle over cut bars. OMG…these are AMAZING!! I think I love you!! Can regular oats be substituted for the quick cooking ones? Wow, this just looks so great! I’m really looking forward to try them!